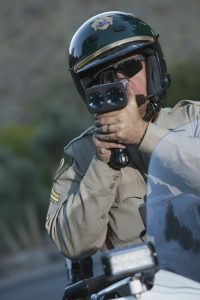 A citation for operating a motor vehicle above the legal speed limit is the most common way that most citizens interact with police and the justice system. A speeding ticket in New Jersey can be a large inconvenience and is some cases a real ordeal. The rate of speed the police cited you for compared to the legal limit for that area will be the determining factor in any potential penalty and fine if you are found guilty. If you have been cited for speeding in Ocean County or Monmouth County, New Jersey, it is recommend that you consult an experienced traffic attorney. The Bronzino Law Firm, located in Brick, New Jersey, provides dynamic, client-focused representation and is here to help you navigate the often complicated New Jersey traffic ticket system. We work zealously to minimize the potential penalties our clients face and protect their driving privileges. We conduct a detailed investigation into the circumstances that led to your ticket. With this information, we work to get your charges reduced to a no-point violation, such as unsafe driving, or dismissed altogether. If you have been cited for speeding in Brick, Toms River, Point Pleasant, Wall, Spring Lake, Sea Girt, Jackson, Howell or anywhere in Ocean or Monmouth Counties contact us online or call us at (732) 812-3102 for a free consultation. c. Fifty miles per hour in all other locations, except as otherwise provided in the “Sixty-Five MPH Speed Limit Implementation Act,” pursuant to section 2 of P.L.1997, c.415. •1-14 mph over the speed limit: Two (2) motor vehicle points. •14-29 mph over the speed limit: Four (4) motor vehicle points. •30 mph or more over the speed limit: Five (5) motor vehicle points. •Over 90 mph and you will likely lose your licence. •The driver was driving the vehicle at the date and time at issue. •There was a speed limit set for that area. •The driver exceeded the limit set by law. If you have a Commercial Drivers Licence (CDL), the process is essentially the same, however a CDL driver will face harsher penalties if they are convicted of the underlying offense. If you accumulate between 10-12 points on your license, the Motor Vehicle Commission (MVC) may place an administrative suspension on your licence. If you accrue 12 points within a two (2) years period or 15 points in more than two (2) years, your license will be suspended for 30 days or more and your insurance premiums may increase significantly. It is important to note that violations, points, and penalties accumulated outside of an may not and likely will not remain within the state the offense occured. even an out-of-state driver can be hit with stiff penalties when returning to their home state. At the Bronzino Law Firm, we have extensive experience helping our clients contest all manner of traffic violations in Ocean and Monmouth County towns such as Wall, Jackson, Point Pleasant, Sea Girt, Asbury Park, and the surrounding communities. Attorney Peter J. Bronzino has built his practice based on the belief that each and every one of his clients deserve highly attentive and effective legal counsel, something which larger firms simply cannot promise or hope to provide. To speak with Peter Bronzino and our legal team today in a free and confidential consultation regarding your traffic citation, please contact us online, or through either our Brick office or our Sea Girt office at (732) 812-3102.